Long Beach, CA, January 16, 2019 – Ship & Shore Environmental, Inc., a pioneer in pollution abatement solutions, announced record-breaking results for 2018 with 13% overall growth and increased global recognition. 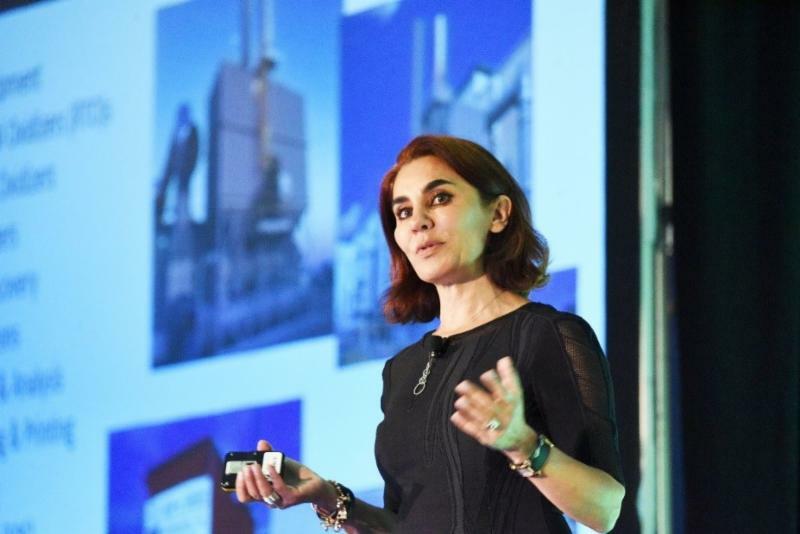 Company CEO Anoosheh Oskouian attributed these results to the company’s expanded know-how and team of experts, continued internationalization, successful pursuit of sector diversification strategies, consistent research and development, improved aftermarket services, and positioning in philanthropy efforts and support of women in STEM fields. Having already established its presence in the flexographic, plastics, fastener coating, biogas, pharmaceutical, and other industries, in 2018 Ship & Shore launched a sector diversification strategy to enter new markets, expand its technology, and further enhance its core industries. One of the main targets focused on projects dealing with Soil Vapor Extraction (SVE) and remediation systems. These efforts successfully resulted in the winning of new projects in this industry. The company widened its technology scope to help treat chlorinated hydrocarbon compounds and emerging contaminants of concern (COCs) typically generated from oil and gas manufacturing facilities. Ship & Shore broadened its capabilities to provide equipment as well as installation and start-up services for flaring applications, which has proven to be an effective technology for the disposing of gases that cannot be used otherwise. With their various technologies, they are able to meet the most stringent site-specific requirements while complying with strict environmental standards. The recent growth is partly attributed to the company’s increased global presence and recognition. Countries from various markets all over the world chose Ship & Shore as their pollution control equipment provider. 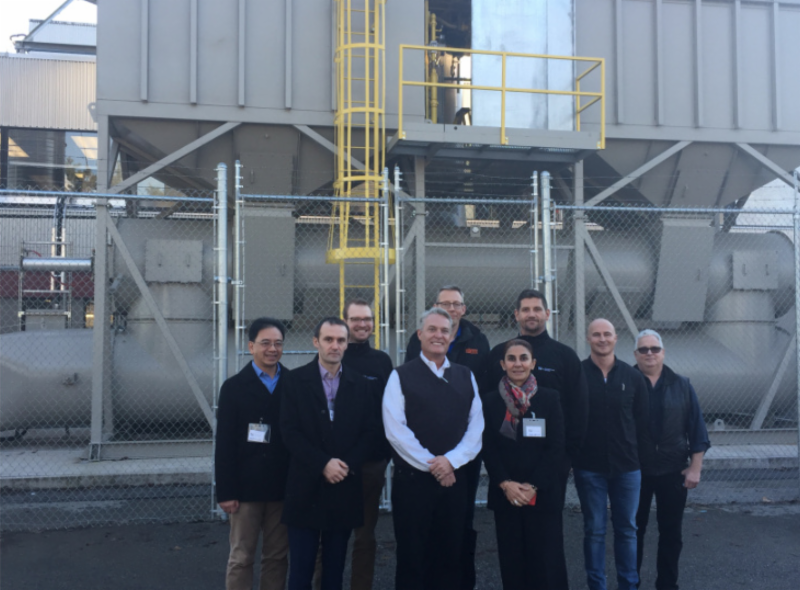 Canadian-based packaging giant, TC Transcontinental, installed a 50,000 SCFM Ship & Shore Regenerative Thermal Oxidizer (RTO), making it the first flexible packaging plant in the BC Lower Mainland to install an abatement system of this caliber. Entering full force into the wastewater, oil & gas, and biogas industries, Ship & Shore announced a partnership with a UAE company, allowing a joint effort to offer a variety of technologies and engineering solutions in the Middle East market. Recent company wins include U.S. projects with parent companies in Spain, India, Germany, Denmark, and further development in the China market. Anoosheh along with TC Transcontinental officials in front of the 50,000 SCFM Ship & Shore RTO. In 2018, Ship & Shore also appeared in major media outlets worldwide including Bloomberg, LA Times, Oil & Gas Magazine, Natural Gas Week, Plastics News, The Washington Post, Chemical Engineering Magazine, and Composites Weekly, etc., among others. Our executives spoke at numerous industry conferences including Women Breaking the Mold, CAMX, IPEC, Fastener Expo, etc. Ship & Shore joined forces with several universities, including UC Irvine to conduct joint research and stimulate new ideas. Ship & Shore CEO Anoosheh Oskouian became a member of UC Irvine’s School of Physical Sciences Dean’s Leadership Council as well as UCI’s Executive Roundtable, a gateway to mutually beneficial cooperation and knowledge transfer between the business community and the university. In addition, Ship & Shore’s team grew to include several USC graduates with PhD’s in chemical engineering. “Our new talent allows us to stay up-to-date on the current industry, new engineering practices, and new technologies. They contribute to our R&D and help bring our vision to fruition,” says Ship & Shore COO, Anu Vij. President & CEO, Anoosheh Oskouian, joined non-profit Global G.L.O.W (Girls Leading Our World) as a “distinguished mentor” at the United Nations International Day of the ‘Girls Speak Out’ Event in New York. As part of the ‘Girls Speak Out’ event, the UN called for girls around the world to share their perspectives on life as a girl in 2018. Anoosheh gave a speech that addressed 40 girl delegates representing communities across the US and Africa, Asia and South America for the Global HerStory Summit. Ship & Shore continues to support this philanthropy cause. Anoosheh Oskouian was also a featured speaker at the Annual Women Breaking the Mold (WBM) conference on October 22-23 in Chicago, IL. The WBM Network is an empowering community dedicated to the professional development of female executives in the plastics industry. At the event, Oskouian spoke about her journey to becoming the only female CEO of a U.S environmental pollution abatement firm, her background story of immigrating to the United States at the young age of 14, and her two decades of experience in industrial and commercial project construction; which during her impressive career, made her a master on air pollution abatement, waste heat recovery, energy consumption reduction and fabrication of integrated green solutions. Ship & Shore Environmental, Inc. is a Long Beach, Calif.-based woman-owned, certified business specializing in air pollution capture and control systems for industrial applications. Ship & Shore helps major manufacturers meet Volatile Organic Compounds (VOC) abatement challenges by providing customized energy-efficient air pollution abatement systems for various industries, resulting in improved operational efficiency and tailored “green” solutions. Since 2000, Ship & Shore has been prepared to handle and advise on the full spectrum of environmental needs with its complete array of engineering and manufacturing capabilities and multiple offices around the U.S., Canada, Europe and most recently, China. With over 100 specialized professionals spread throughout the world, the company is dedicated to designing tailored solutions for its energy clients. For more information, visit www.shipandshore.com.